Miami International Airport (MIA) began 2015 in fine fashion, ringing in the New Year by setting two consecutive single-day passenger records. On Saturday, January 3, 2015 a record 145,891 passengers traveled through the global gateway, only to be surpassed the following day when a new all-time record of 146,257 passengers flew in and out of MIA. The one-two passenger punch caps a strong holiday travel season at Florida’s busiest airport, which has welcomed more than 2.1 million passengers since December 21, 2014. FEBRUARY IS MIAMI ROMANCE MONTH! 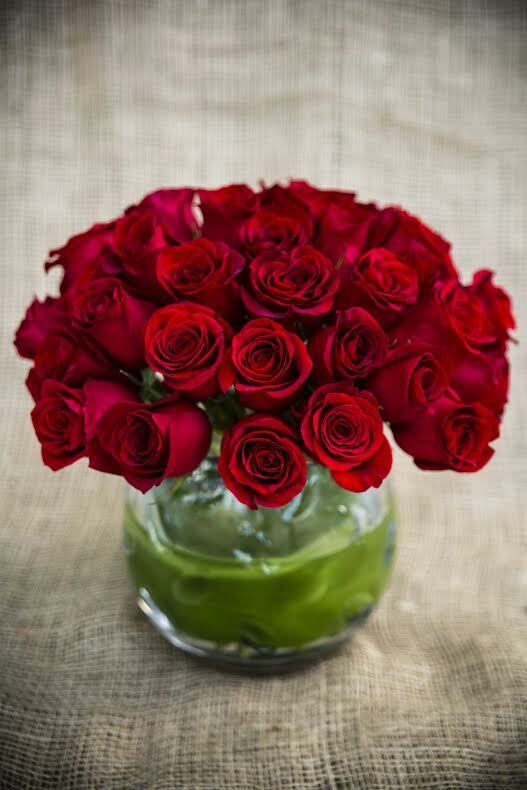 Love is in the air this February as Greater Miami and the Beaches celebrates Miami Romance Month! 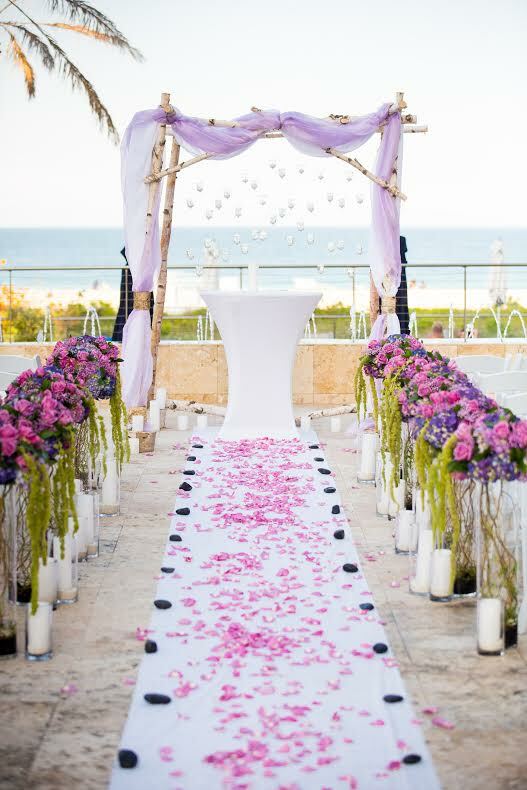 Create lasting romantic memories alongside a new romance, rekindle an old flame and even tie the knot in Miami! Indulge together & take advantage of exclusive special offers and events in one of the most beautiful and exciting destinations in the world. In anticipation of Miami Romance Month, The GMCVB is hosting a social media contest on our @VisitMiamiLGBT channels. The ‘Share Your LGBT Love Story’ Giveaway, in line with the recent developments on marriage equality in Florida, is giving fans a chance to enter to win a three-night stay for two courtesy of the Leslie Hotel, located on Ocean Drive. Contest concludes January 30, 2015 and is open to U.S. residents. Visit Facebook.com/VisitMiamiLGBT to enter. GMCVB’s Convention Sales Team joined GMCVB President & CEO William D. Talbert, III, CDME at the 2015 Professional Convention Management Association’s (PCMA) Annual Meeting on January 11-13, 2015 in Chicago, IL USA. This high-profile convention unites over 3,000 attendees with nearly 50 percent of them comprised of meeting planners. The GMCVB Team promoted the destination to association & corporate planners during the three-day educational & networking program. While at PCMA, Miami hosted a one-on-one client dinner for top prospects & customers. PCMA continues to provide a forum to be amongst the most influential industry decision makers. GMCVB’s Travel Industry Sales Team will exhibit at the 13th Annual New York Times Travel Show in New York City January 23-25, 2015 to promote Miami and the Beaches for pre/post cruises, family travel, arts and entertainment, and more. GMCVB Partners The Hotel South Beach and Miccosukee Resort will be joining the Team at the event. The show is being heavily promoted via radio, television and newspaper ads throughout the Greater New York Tri-State area. Approximately 16,000 attendees plus 7,500 travel trade professionals are expected to attend the show. The GMCVB booth will have a dedicated area in which to celebrate the Miami Beach Centennial with a special Birthday Card for attendees to sign and birthday cupcakes for them to enjoy. 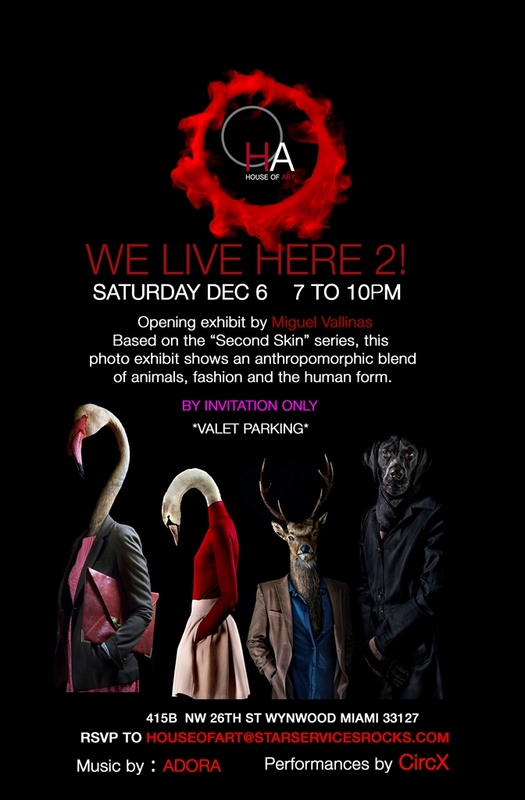 Featured Art Week events at the House of Art! Santa’s workshop will take over the LGBT Visitor Center in Miami Beach for the 5thAnnual HoliGay Celebration and Toy Drive, Thursday, December 11, from 6 p.m. to 9 p.m. Wannabe Santas from the entire community are invited to bring an unwrapped toy as a contribution to the Miami Beach Police Department’s Children’s Holiday Relief Fund for distribution to children in need. The LGBT Visitor Center is located at 1130 Washington Avenue in Miami Beach. The jolly old elf himself will be making a special guest appearance and posing for selfies at the event which will feature complimentary cocktails by GREY GOOSE® Vodka, Bacardi brands and Barefoot Wine and Bubbly. A lavish buffet from Centerplate and Crepe Maker will be served against the backdrop of DJ/Producer Maximus 3000 playing holiday and contemporary favorites. Additional support will be provided by GAP Inc., which will furnish Santa’s helpers for the event, and the Miami-Dade Gay & Lesbian Chamber of Commerce (MDGLCC). 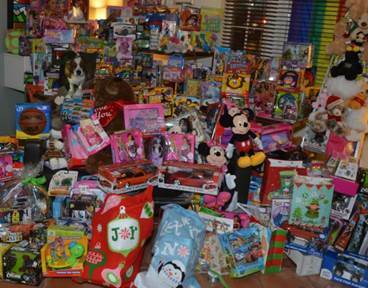 The HoliGay Celebration & Toy Drive is open to the public and admission is free with an unwrapped toy. To RSVP for the HoliGay Celebration & Toy Drive, email lori@gogaymiami.com. The Miami-Dade Gay & Lesbian Chamber of Commerce Foundation opened the country’s first-ever Chamber-sponsored LGBT Visitor Center in October 2010. The Center is open to the public seven days a week and has been the venue for special events for the MDGLCC, Miami Dade County Health Department, Yes Institute, Miami Gay & Lesbian Film Festival, Brazilian Film Festival and Miami Beach Gay Pride, just to name a few. For more information, visit www.gogaymiami.com, email lori@gogaymiami.com, or call (305) 397-8914. The DBR will be publishing a new product that would be a valuable addition to your marketing efforts. 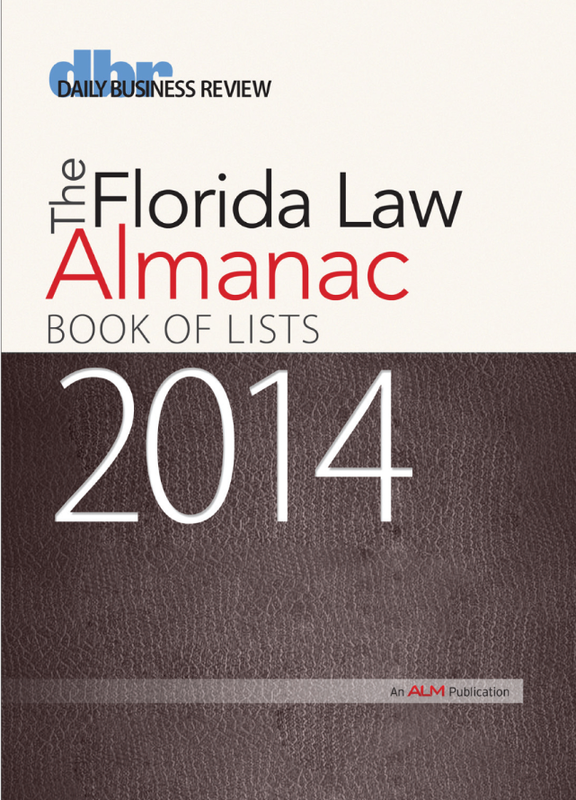 As you know, the Daily Business Review is the source when it comes to legal intelligence and information on firms, attorneys, courts and the legal community.The Almanac will be a compilation of all our lists ranging from Review 100 to lawyer compensation charts and top verdicts. No doubt, this publication / directory will be an important source that will be referred to throughout the year. This unique DBR product is an ideal marketing opportunity that will provide year-long exposure. For a list of the lists and advertising rates click on Valerie. **Premium and cover positions are available at no extra charge on a first come first serve basis. Let me know if this would be of interest. Space deadline – Nov. 6th. W Speakerbox Presents Amber Monique and Kyle Dion! Amber Monique, born on March 5th, 1990 is an American singer-songwriter. Born in Cincinnati, Ohio, later relocating to Miami, Fl. she began her musical career singing the national anthem at boxing matches, singing at corporate events, and remixing/covering songs via YouTube. Before entering into the music realm, Amber was involved in hip hop/jazz dance and also belly danced for a couple years. Amber began singing professionally and released her first full-length project entitled, ‘Elevate’. Shortly after the release of ‘Elevate’, Amber Monique was nominated for ‘Musician of the Year’ in Miami. After climbing up and receiving more notoriety as an R&B artist, Monique began performing at venues in Miami and Atlanta and later began her ‘Save RnB’ movement. Save RnB captures the old school vibe with a new school feel, forcing both eras to unite and has been recognized as ‘the return of R&B’. With her soft, melodic tone, her ability to hit high notes, and the truth & originality in her lyrics, ‘Save RnB’ captures what a lot of music is missing today. Amber is currently spreading the ‘Save RnB’ mission to the west side and working on her next solo EP to be released in 2015. Born April 11th, 1994 in New Haven, Connecticut; “Kyle Dion” wrote his first song at the tender age of 9; and hasn’t stopped since. That same year, his Mom paid for voice lessons, which elevated his love of singing to serious heights. As he continued to master his craft, Kyle had opportunities to audition for a few roles and started developing a love for acting. Any opportunity Kyle had to be on stage he took it. Recently Kyle opened up for Rapper Wale in Fort Lauderdale. Not afraid of the limelight, Kyle has performed in local talent shows, festivals and local library’s. Kyle even makes time to sing to the children in hospitals. Kyle made sure he stopped by to encourage them to fight and not give up through his music. Kyle’s determination to make it in the music industry landed him a contestant spot on the 1st season of The X Factor USA. Kyle made it to Hollywood California. On Friday, September 19, 2014 from 11 am to 2 pm, the Miami Beach Chamber of Commerce Real Estate Council and the Miami Association of Realtors come to together to host the annual Real Estate Luncheon at the luxurious Loews Hotel Miami Beach. “Miami Tomorrow: Visionaries And Their Global Insight” will be a discussion centered around the transformative projects appearing in Miami Beach and Miami and the cities design evolution. Moderated by Architecture Critic for Vanity Fair and Author Paul Goldberger, the panel will be comprised of Landscape Architect Raymond Jungles, Executive Vice President of the Related Group Carlos Rosso, Partner at Richard Meir Architects Bernhard Karpf and CEO from the Miami Association of Realtors Teresa King Kinney. Representing a melting pot of cultures, Miami Beach and the Greater Miami area has developed into a unique city of cultural diversity and exciting architectural explorations and each panelist has a unique point of view regarding the subject. The title sponsor of the event will be award winning architectural interior designer Alfred Karram Jr., from AKJ Design Concepts, who received the prestigious 2013 Stars on the Rise Award by the Design Center of the Americas. The Real Estate Council at the Miami Beach Chamber of Commerce hosts informational seminars and workshops with the goal of sharing experiences and offering guidelines to other Chamber members within the real estate industry. 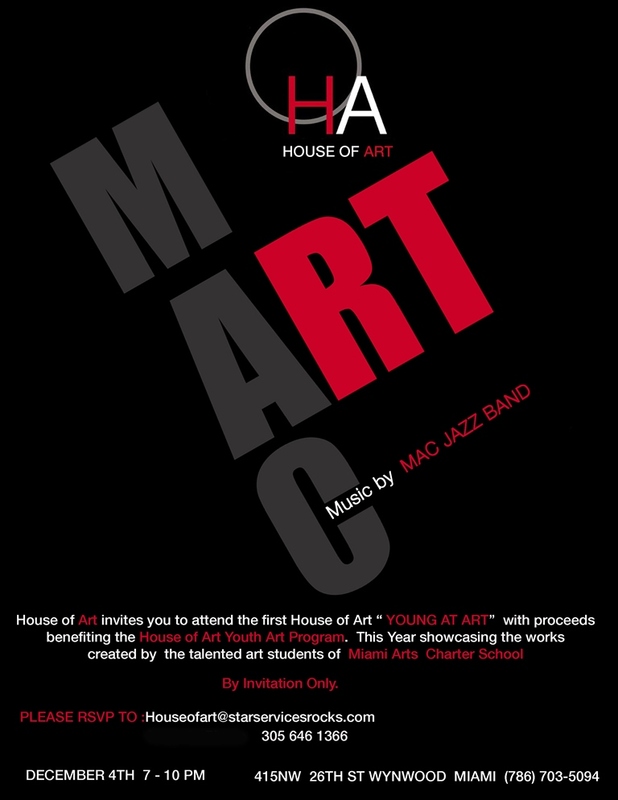 Please RSVP to this event as soon as possible before it sells out to guarantee your spot at this exciting event. You can RSVP by calling the chamber at 305-674-1300. General admission tickets are available for $70, or $60 for Chamber Pillar members. Table sponsorships are available for $750. For more information on the Miami Beach Chamber of Commerce, visit www. miamibeachchamber.com or visit us on Twitter @MiamiBeachBiz or Facebook: Miami Beach Chamber of Commerce. The Flower Bazaar, located on 5th Street in South Beach between Michigan and Jefferson, opened in 1994 in its current location. The once tiny design studio continued to transform over the years, and in 2011, a French interior designer and decorative painter, Thierry Adam, took over the company. 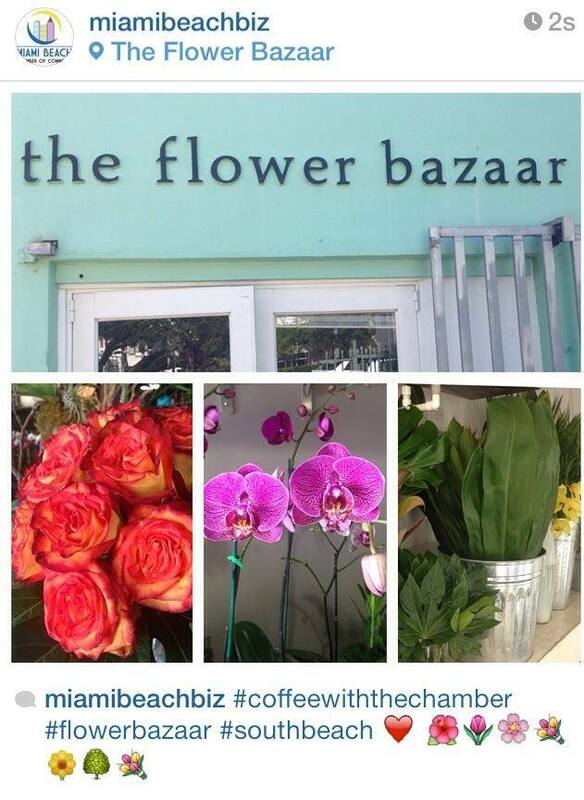 Along with recently hosting a “Coffee with the Chamber,” The Flower Bazaar will soon be celebrating 20 years in Miami Beach, and they are gearing up for “additional growth with new personnel additions in the marketing and sales area, dedicated to commercial and hospitality services,” says partner, Leonardo Lanaro. Disaster Preparedness and Recovery: Are You Ready To Weather The Storm? Great Pitches! Great Time with “The Shark” Daymond John in Miami. Check Out Event Highlights! The Shark May Be Coming to Your City Soon!